When the day closes today so will the 16th annual Whistler Writers Festival. The effort to put on such an event is enormous. But I’ve come to learn that anything is possible with vision, dedication, hard work and the support of so many people of like minds. A bit of insanity doesn’t hurt either. Every year, I am reminded that no one succeeds alone. I would like to acknowledge, Rebecca Wood Barrett who as festival manager and my sounding board puts up with me day in and day out and has never wavered despite our incredible workload. Mieke Prummel led a team of volunteer captains including: Marion and Al Ashby, Karen McLeod, Anya Smith and Sara Leach. The captains were assisted by some of the most incredible volunteers any event organizer could ask for including: Rosemary Cook, Yulia Aleynikova, Libby McKeever, Cathy Jewett, Deborah Wade, Barb Lee, Dawn Titus, Caroline Hicks Lamont, Tamar Glouberman, Tracy Landsley, Therese Carriere, Noa Vazquez Rodrigues, Suzanne Malone, Peggy Riley, Katherine Fawcett, Sheila Sherkat, Brenda Montani, Katie Findlay, Myrna Iaconetti-Bush, Louise Frances Frost, Sue Oakey Baker, Katherine Fawcett, and teacher Amanda Walker and her students, Chana Rogers and Eric Duncan. Pat Mackenzie was our go-to person for the Authors in the Schools program. I am very proud of this program. It would not have gotten off the ground without Pat’s help and the support of the teachers and principals in the corridor over the past 5 years. Schools from Squamish, Whistler, Pemberton, and Lil’wat Nation are given class sets of our featured authors’ books. The students read the books and the authors give presentations to inspire students to write and tell their own stories. In 2017, 16 schools in our district participated in this program with some 2000 students taking part. I am grateful for the funding support of The Whistler Blackcomb Foundation, The Province of British Columbia, the Rotary Club of Whistler Millennial, the Community Foundation of Whistler, the Whistler Public Library and our own Whistler Writing Society. I’d like to thank Mary MacDonald for keeping our social media buzzing, Libby McKeever for making sure all the libraries in the province had our brochures and posters, helping with festival school and library programming and driving authors, Brigitte Mah for helping us with signage, Claire Piech for managing our communications efforts, and Ruth Barrow from Whistler Creative for handling our website and making our festival program and all our collateral sing! Thanks to all of you who read our author’s books and wrote such wonderful reviews for our local paper. Thanks also to the actors and musicians who took the written word and added different perspectives to make our reading events extraordinarily special. The Whistler Writing Society is a non-profit charitable organization. 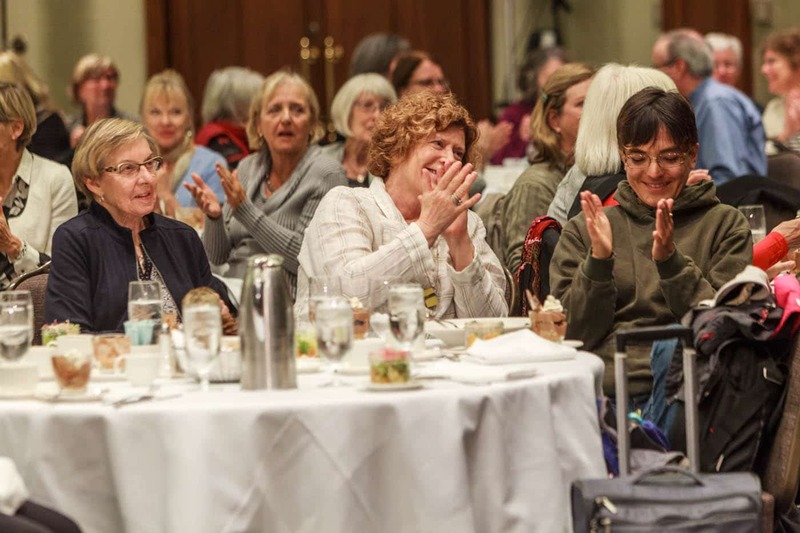 Our budget is completely allocated to covering the costs of the annual Whistler Writers Festival, the Writer in Residence Program, and other literary events throughout the year, including the Authors in the Schools program. We could not do what we do without the generous support and vision of a number of sponsors including: The Resort Municipality of Whistler and the Province of British Columbia, The Writers Union of Canada, The Canada Council for the Arts, The BC Arts Council, the American Friends of Whistler, Access Copyright, The Whistler Blackcomb Foundation, The Community Foundation of Whistler, Marquis Printing, Vivalogue, Stonebridge of Whistler, Vision Pacific, Penguin Random House Canada, Burnt Stew Computing, Pasta Lupino, the Whistler Public Library, Arts Whistler, Tourism Whistler, the Fairmont Hotel, Armchair Books, the Audain Museum, Night Owl Brewing, Printorium Bookworks, BDO, the Grocery Store, Rogers Group Financial, Rotary Club of Whistler Millennium, Pure Bread, Whistler Wired, Whistler Roasting Company, Scandinave Spa, Slope Side Supply Limited, The Book Ladies (Jane Reid, Richmond, Maureen Chaddock), Goodwin Studios and Whistler Creative. Thank you. Last but not least, I’d like to thank Mountain FM (media sponsor of Comedy Quickies), The Pique, the Question, The Vancouver Sun, The Province, The Ottawa Citizen, The Georgia Straight and Quill and Quire for their wonderful coverage leading up to our festival. Thanks guys. I appreciate the support. And now we begin planning for 2018. We have 365 glorious days. It seems like a luxury to have so much time ahead of us, but the festival will be back in no time. Mark your calendars, October 11-14, 2018. Thanks again for all the support. I appreciate it.